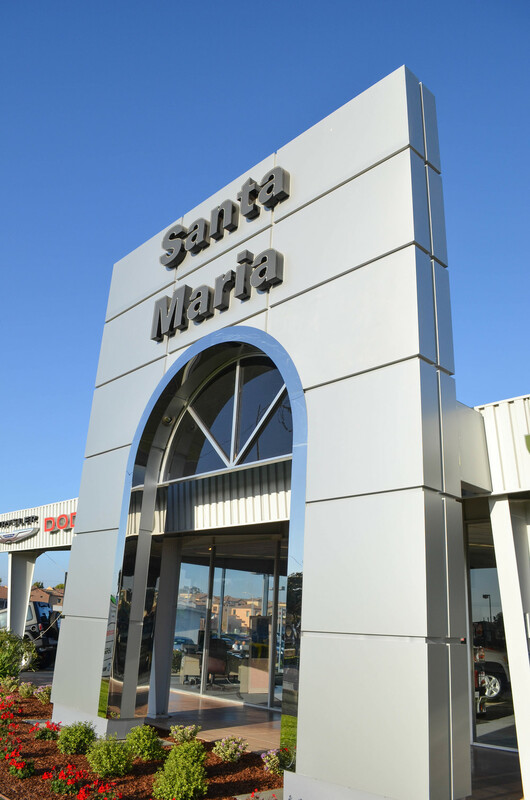 Since 1978, we've provided commercial painting services to property managers and business owners in California's Central Coast. We have the equipment and experience to paint offices, religious institutions, shopping centers, hotels, restaurants, and more. Contact us today to schedule your free estimate! If you run a business in California's Central Coast, you understand how important first impressions are to winning new clients and boosting company performance. If the exterior of your building isn't representing your business well, then it’s time to call New Life Painting. New Life Painting commercial projects start out with an initial free estimate, where we assess your job and provide you with a reasonable quote to complete the work. Once you sign a contract we can move forward with your plans – or you can take advantage of our free professional colorist, who will evaluate your space and provide color recommendations to choose from. Once colors are chosen and job details are solidified, our painting professionals handle your project. Each member of our painting team receives training in our apprenticeship program, then ongoing training and education to keep them up to date in industry best practices. This means your project will be staffed by skilled professionals who know the art of painting as well as technical and safety details. Our painters are also polite and friendly to work with, and they go the extra mile to make sure your lawn or business interior is kept neat as they work to complete the project. When the job is complete you will be amazed with the results and the fresh new appearance of your business. We also stand by our work for years to come, with a two-year written warranty on all commercial painting projects. Our certified team works closely with Carboline to customize the project, and ensure you receive the right protection to meet your needs. New Life Painting has been operating in the central coastal California area since 1979, and the reason for our longevity is our focus on customer service. At New Life Painting we want you to enjoy working with us from initial call to job completion. Our sales staff is friendly, our painting technicians are skilled and polite, and we work to exceed your expectations on your customized painting project. All New Life Painting customers will receive a free professional color consultation on all signed contracts. Interior and exterior painting is an investment in your business that you can’t afford to ignore. Let New Life Painting boost the appeal of your business with a new look and a splash of color. Get started today by calling to request your free residential or commercial exterior painting estimate. New Life Painting Provided a colorist which helped make a spectacular result. You're prices are fair and worth every penny. You're staff is prompt, creative, reliable, responsive, nice and helpful. The painting project accomplished by New Life Painting was the best we have ever experienced in every way. It was a gratifying experience, we will tell our 40+ neighbors what an excellent job your crew did for us! Professional, trustworthy. Did an excellent job. Really appreciated the help with colors, an added bonus I didn't expect. Excellent from first phone call to completion. Keep it up!